Comment: if you feel yourself a bit dejected then the recent issue’s minimal nature might be suitable for you as a remedy. Not only this aspect is substantial with regard to the roughness of the outing. You could imagine a post apocalyptic vision, for instance, the moments after the mighty outburst of a super volcano wherein the lava is getting to harden slowly and all will be clearing and brightening around the immense epicentre. Undoubtedly it could be a wonderful glimpse. Indeed, there are up some hopes about the situation to be getting improved. The buildup of the issue supports all the aforementioned words because of being adeptly expressive. 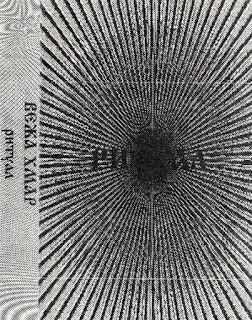 The first tracks of the debut album Ритуал (Ritual) by the Ukraine-based combo Вежа Хмар (Vezha Khmar/Veja Mar) draw solely on raw drones of low frequency as if it had been recorded with the assistance of a grimy cartridge. Later on, however, the situation is imbued with brighter sounds, for example, with vowel hovering and vibrato-laden droning. Furthermore, the more the issue is coming to its finishing point the more you can perceive exalting emptiness (or is it broadness?) oozing out from everywhere. I does not foretell us a new beginning at that point but the new beginning has already existed out the re for a while. Musically it is a drone album with vague hints at ambient/illbient and succumbed psychedelic music yet there somewhere around you could discern the ghosts of post-rock, post-folk and doom coming closer and then fading away at a time. In a word, the result is striking and impressionistic in its sublime roughness. 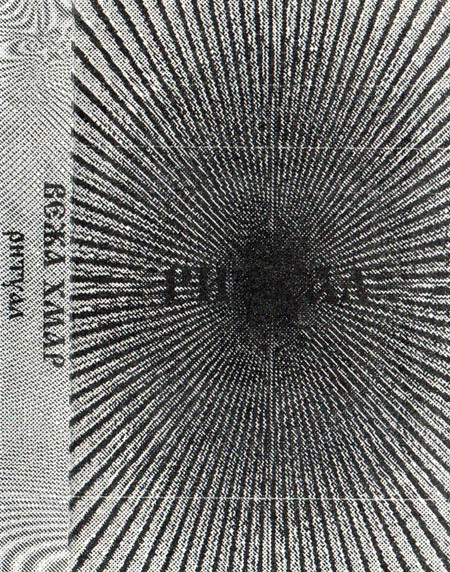 This great issue was initally released on Mariupol-based imprint Bloodhead Production.